Seniors Achieving Greater Education (SAGE), a special program of the University of Maine at Presque Isle for local residents over 50, will host its fall kick-off event from 11 a.m. to 2 p.m. on Friday, Sept. 7, in the Campus Center’s Multi-Purpose Room. PRESQUE ISLE, Maine — Seniors Achieving Greater Education (SAGE), a special program of the University of Maine at Presque Isle for local residents over 50, will host its fall kick-off event from 11 a.m. to 2 p.m. on Friday, Sept. 7, in the Campus Center’s Multi-Purpose Room. The event includes lunch at 11:30 a.m., the introduction of courses and door prizes, and is open to all. The cost is $7.50 at the door. 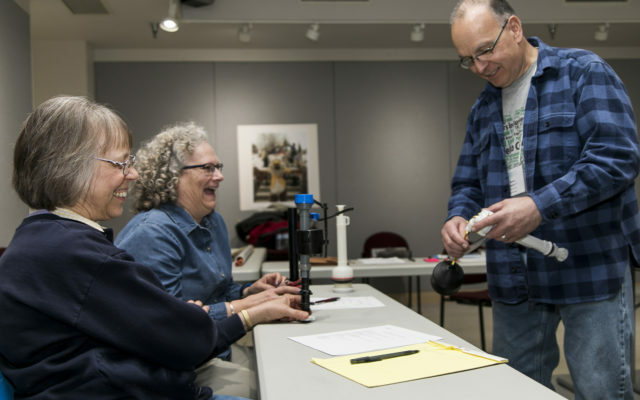 SAGE, one of 17 senior colleges in the Maine Senior College Network, and one of two north of Bangor, welcomes intellectually curious older adults with a desire to learn in the company of others. It brings members together in a relaxed, non-competitive atmosphere for learning and fellowship. There are no grades and no tests. Courses include the Geological Wonders of our Western National Parks, UFOs and Astronomy, the Benefits and Risks of Optimism, exploration of TED Talks and Theatre Arts Appreciation. Participants can also learn about Maysville Pioneer John Allen and a local jeweler who served in the Civil War. This fall, SAGE is offering 20 courses and several special activities, including Let’s Go to the Movies, Lockbox Lunch, and SAGE Night Out, as well as a variety of SAGE groups, including Games, Book, Outing, and Chess clubs. For those who want to try a new holiday craft, there are courses on Decorating a Gingerbread House, Making a Homemade Christmas decoration, and working on the SAGE entry in the Festival of Trees. SAGE is again offering the very popular Presque Isle Citizens’ Academy, Red Cross Ready for Seniors, Finding your Ancestors, and the AARP Smart Driver Course. In addition, the SAGE Outing Club offers several opportunities and partners with the Caribou Recreation Department for a number of excursions. For a complete listing of courses and a registration form, visit www.umpi.edu/sage. For more information, contact the SAGE office at 768-9501 or email umpi-csp@maine.edu, and follow SAGE on Facebook at SAGE-UMPI. Annual Membership in SAGE is $25. Courses are $5 each for members, though some hands-on courses and activities have additional fees. Membership scholarships are available. Thanks to a donor, free bus tickets are offered for transportation to SAGE courses for members within ARTS bus routes.